card = suit*13 + rank. 我们利用一个整型变量来描述你手上的牌型（poker type）, 其中 0= no pair, 1=pair, 2=two pair, 3=trips, 4=straight, 5=flush, 6=full house, 7=quads, 8=straight flush. 样例1：AH QD 4S KH 8C是一个没有对子的牌型（有时候我们说成是散牌或者是高A），所以，所以,type设置为0，剩下的五个ranks按照五张牌的递减顺序排列，（A,K,Q,8,4）被翻译为以下的五个数：12,11,10,6,2（或者对于16进制来说，为C,B,A,6,2），再结合高位的牌型0标识，给出了一个32bit的整型变量：0x000CBA62.这里，我们需要注意两点：（1）我们的这种数据结构忽略了花色的信息，但是，唯有我们在分析同花顺的时候，才有必要了解到高位信息。（2）注意到两个高位的牌值都为0. 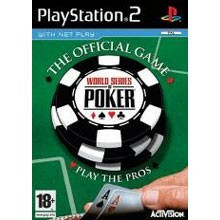 I recently programmed the AI for the World Series of Poker, developed by Left Field Productions and published by Activision. I started out thinking it would be an easy task. But it proved a lot more complex than I initially thought. This article for the budding poker AI programmer provides a foundation for a simple implementation of No-Limit Texas Holdem Poker AI, covering the basics of hand strength evaluation and betting. By following the recipe set out here, you will quickly become able to implement a reasonably strong poker AI, and have a solid foundation on which to build. I assume you are familiar with the basic terminology of poker. The goal of any game playing AI is twofold. The primary purpose is to allow the player to have a fun and enjoyable experience. The secondary purpose, subordinate to the first, is to play a strong enough game to provide sufficient challenge to the majority of players in your intended audience. You will need an implementation of the following data types. I’m going to describe them at the bit/byte implementation level, leaving the high level abstraction up to you. A “Hand Type” is an integer representing the type of poker hand you have, where 0= no pair, 1=pair, 2=two pair, 3=trips, 4=straight, 5=flush, 6=full house, 7=quads, 8=straight flush. A “Hand Value” is a 32 bit integer representing the relative value or strength of any hand of cards. By comparing two hand values, you can see which hand is stronger in a game of poker. Example 1: AH QD 4S KH 8C is a “no pair” hand type (sometimes called a “high card”, or in this case “Ace high”). So, the hand type nibble is set to 0. The remaining nibbles in the Hand Value are filled out with the ranks of the five cards in descending order. (A, K, Q, 8, 4), which translated into rank indices: 12,11,10,6,2 (or C,B,A,6,2 in hexadecimal), and when combined with the hand type (0) in the high nibble, gives us a 32 bit integer: 0x000CBA62. The individual suits of the cards are basically ignored in the final hand value. The only time suit is significant is when it contributes to a flush. Also, note the top two nibbles of the Hand Value are always zero. Example 2: 4D JD 3D 4C AD is a pair of fours, with Ace, Jack, Three kickers. The hand type is a pair, (type 1), then the ranks follow, starting with the rank of the pair, then the ranks of the kickers, so 4,A,J,3, which gives us 0x0012C910. Example 3: 7C, 6C, 5C, 4C, 3D is a straight (type 4). More specifically it’s a seven high straight. The only rank of import here is the seven (rank 5). So the hand value is encoded as 0×00450000. We save ourselves a bunch of instructions in ignoring the four low cards after we’ve determined it is a straight. Look at the resultant hand values of the above examples, you can clearly see how the better hands always have a higher hand value, making determining the wining hand a simple comparison. What we now need is a function that takes a hand, and returns a hand value. This involves determining the hand type, then inserting the nibbles for the hand ranks, as above. A hand is four words (clubs, diamonds, hearts, spades) of 13 bits each. 13 bits can be arranged in just 8192 combination, which means we can accelerate the evaluation of a hand by pre-calculating 8K tables of things like the number of bits set in a (13 bit) word (if you have five or more of the same suit, then you’ve got a flush), or the highest card of any straight in the hand. You can also pre-calculate a table of the highest five cards from a particular bit combination, which you can then use to set the kicker cards. If you calculate ranks = (hearts | diamonds | clubs | spades) then the value ranks is a bit-field with a bit set for every card rank that you have at least one of. The number of bits set here is the number of unique ranks you have. We calculate the number of bits in each of hearts, diamonds, clubs and spades, and subtract the number of bits in the unique ranks, giving the number of duplicated ranks, to be used as the basis of determining what type of hand you have. Example: if you have 2D AS AH 2C 2H, you can very quickly determine that you have five cards, that there are just two unique ranks, and hence you must have either a full house or four of a kind. A few more simple tests will determine exactly what you have. The entire evaluation function will consist of tests like this, gradually whittling down the possible hand types. Since the function consists mostly of bitwise operations, table lookups and simple comparisons, it is going to be very fast. It’s also very amenable to fine tuning optimization, and the exact implementation will depend on the target architecture. You may be able to take advantage of some processor specific instructions to greatly improve the efficiency. Hand strength is the probability that you will win the hand, given your hole cards, the community cards, and the opponents who remain in the hand. Hand strength is a floating point number between 0.0 (certain loss) and 1.0 (certain win). For example, a HS of 0.33 means you have a 33% chance of winning. The easiest and most flexibly way of calculating the HS is to simulate the progress of the game a very large number of time, and count the number of those times you win. Say you simulate the game 1,000 times, and in the simulation, you win 423 games, then you have a high degree of certainty of having an approximate HS of 423/1000, or 0.423. Hand Strength = score/number of loops (1000 in this case). To be more accurate, we have to run our simulation with people dropping out if they are dealt hole cards below a certain threshold. In practice, the determination of if a player stays in or not in a simulation is a probabilistic function of the strength of their hole cards, their table position, their stack size, the blind size and their previous behavior. For now we can just modify the simulation, so after dealing the opponents hole cards, remove any non-blind players with hole cards worse than, say, a pair of sixes. While not particularly elegant, it will still give you a useful number. The pot odds number is the ratio of your bet or call to the size of the pot after you bet (the amount you will win). For example, if the bet is $20, and there is $40 in the pot, then the pot odds are 20/(20+40) = 0.333. Rate of return is the “on average” proportion of how much you will multiply your bet by, if you stay in the hand. Rate of Return = Hand Strength / Pot Odds. The base strategy we implement is to mostly stay in hands with a rate of return greater than 1. For each round of betting the computer needs to decide if it is going to fold, call or raise (The FCR decision). Ignoring the question for the moment of how much to raise for now, then given a Rate of Return (RR), it’s possible to provide a very simple (yet useful) mapping between RR and FCR. If fold and amount to call is zero, then call. Don’t pay too much attention to the precise percentages listed above, the numbers will depend on the way you calculate your hand strength, and you’ll want to vary them depending on which betting round you are in. You will also want to vary these numbers to create players with different personalities. Using this very simple mapping between the RR and the FCR decision can give you a surprisingly reasonable and entertaining player. They will tend to play strong hands, they will occasionally bluff, they won’t scare easy if their hand is good, and they will abandon weak hands when raised, and they will stick around on a reasonable chance of a flush or straight draw, making for entertaining gameplay. The fact that none of the percentages is 100% is also important. That means you can never deduce the hand strength of your AI opponent based on their actions (unless they fold, where the information does not really help you). If they raise, then they could have any kind of hand strength – probably a good one, but it might be the 1 in 20 times when they are bluffing with a very weak hand. The simple rules above work well when your stack of chips is large and the blinds are small. However as your stack shrinks and the blinds increase then the amount of money you need to commit to stay in a hand can become a very substantial proportion of your stack. Also, occasionally other players might go “all-in”, betting their entire stack of chips, so we need some logic to prevent the AI from making bad calls when short stacked. Say you have AD, 2D and the flop is QC, KC, 2C. So you have a pair of twos, but there is a possible flush out there. There is $500 in the pot and the bet is $100 to stay in against two player, but it’s your last $100. The pot odds are 100/600 = 0.1666, your hand strength is 0.297, so your rate of return is about 1.8. So if you could play this situation over and over again you would make on average an 80% profit each time. However, it’s your last $100, and you have about a 70% chance of loosing everything. Don’t make that bet! Meaning if the call would leave you with less than four times the big blind, then don’t call unless you have a greater than 50% chance of winning. Poker is a complex game, with a surprisingly large number of different types of situations like this that you have to handle somehow. I recommend you have as few special cases as possible, as it reduced the risk of an exploit being introduced into the game via some obscure special case. However, you should anticipate a number of heuristics (rules of thumb) being hard coded into the AI logic. Playing a quick single table game of Texas Holdem takes around 30 minutes on average with human players. Ideally you would perform your testing by having human players play against the AI and trying to find problems with it. Unfortunately, due to the random hands being dealt, it’s very easy for one player to simply get lucky and win the game with sub-par logic, or even flawed logic. I’ve found it takes at least ten games to begin to get a clear picture of the qualities of an AI player, and more like a hundred games to be really sure. This often creates an unreasonably burden on the testing department, and introduces a very long delay in getting feedback on AI changes. The solution is automated testing. The AI should be set up so that different variants of AI can play against each other in a very high speed set of games. You should also code a few simplistic poker AI’s into the mix, such as an AI that always goes all in, or another that simply always raises with a hand better than a pair of fives. Then you set your AI loose against these opponents, and make sure that it wins the appropriate percentage of games. If you coded your evaluation and simulation appropriately, then you should be able to simulate an entire game in about a second. (You might want to reduce the iterations of the simulation a bit to speed up testing). The best use of your human testers is to try to get them to find an exploit of the AI, then you can codify this exploit into a temporary AI opponent to include in your test suite. You can then tweak your AI until it defeats the exploit, while still being able to defeat all the other (standard) opponents. • Game theory and Nash Equilibrium. – Sklansky, David, The Theory of Poker, 1999, Two Plus Two Publishing. – Provides various discussion of pot odds, implied odds, etc, with many heuristics that might be useful. http://www.cs.ualberta.ca/~games/poker/ A number of research papers on implementing poker AI. – Hold’em Killer, Evin Peretz, http://www.holdemkiller.blogspot.com/ – A blog on implementing poker AI. – Poker-Eval, http://freshmeat.net/projects/poker-eval/ – A GPL Licensed poker hand evaluation library. This entry is filed under Game Development, Inner Product. You can follow any responses to this entry through the RSS 2.0 feed. You can leave a response, or trackback from your own site. Rules engines, machine learning models, ID verification, or reputation lookups (e.g. email, IP blacklists and whitelists) and unsupervised analytics? I’ve often been asked which one to use and should you only go with one over the others. There is a place for each to provide value and you should anticipate incorporating some combination of these fraud solutions along with solid domain expertise to build a fraud management system that best accounts for your business, products and users. With that said, rules engines and learning models are two of the major foundational components of a company’s fraud detection architecture. I’ll explain how they work, discuss the benefits and limitations of each and highlight the demand for unsupervised analytics that can go beyond rules engines and machine learning in order to catch new fraud that has yet to be seen. Rules engines can take black lists (e.g. IP addresses) and other negative lists derived from consortium databases as input data. An analyst can add a new rule as soon as he or she encounters a new fraud/risk scenario, helping the company benefit from the real-world insights of the analyst on the ground seeing the fraud every day. As a result, rules engines give businesses the control and capability to handle one-off brute force attacks, seasonality and short-term emerging trends. Rules engines have limitations when it comes to scale. Fraudsters don’t sit idle after you catch them. They will change what they do after learning how you caught them to prevent being caught again. Thus, the shelf life of rules can be a couple of weeks or even as short as a few days before their effectiveness begins to diminish. Imagine having to add, remove, and update rules and weights every few days when you’re in a situation with hundreds or thousands of rules to run and test. This could require huge operational resources and costs to maintain. If a fraud analyst wants to calculate the accept, reject, and review rates for 3 rules and get the changes in those rates for adjusting each rule down or up by 100 points, that would require 8 changes: 23^ = 8 (values^rules). Testing 10 rules with 3 different values would be over 59K changes! As the number of rules increases, the time to make adjustments increases quickly. Rules engines don’t automatically learn from analyst observations or feedback. As fraudsters adapt their tactics, businesses can be temporarily exposed to new types of fraud attacks. And since rules engines treat information in a binary fashion and may not detect subtle nuances, this can lead to higher instances of false positives and negative customer experiences. Supervised machine learning is the most widely used learning approach when it comes to fraud detection. A few of the learning techniques include decision trees, random forests, nearest neighbors, Support Vector Machines (SVM) and Naive Bayes. Machine learning models often solve complex computations with hundreds of variables (high-dimensional space) in order to accurately determine cases of fraud. Having a good understanding of both what is and what is not fraud plays a central role in the process of creating models. The input data to the models influences their effectiveness. The models are trained on known cases of fraud and non-fraud (e.g. labeled training data), which then facilitate its ability to classify new data and cases as either fraudulent or not. Because of their ability to predict the label for a new unlabeled data set, trained learning models fill in the gap and bolster the areas where rules engines may not provide great coverage. Below is a simplified example of how a supervised machine learning program would classify new data into the categories of non-fraud or fraud. Training data informs the model of the characteristics of two types of fraudsters: 1) credit card fraudsters and 2) spammers. Three features: 1) the email address structure, 2) the IP address type, and 3) the density of linked accounts are indicative of the type of fraud attack (e.g. response variable). Note in reality, there could be hundreds of features for a model. is a credit card fraudster. Now suppose your model is evaluating new users from the batch of users below. It computes the email address structure, IP address type, and density of linked accounts for each user. If working properly, it will classify the users in Cases 2 and 3 as spammers and the users in Cases 1, 4 and 5 as credit card fraudsters. Because of their ability to predict the label for a new unlabeled data set, trained learning models fill in the gap and bolster the areas where rules engines may not provide great coverage. Learning models have the ability to digest millions of row of data scalably, pick up from past behaviors and continually improve their predictions based on new and different data. They can handle unstructured data (e.g. images, email text) and recognize sophisticated fraud patterns automatically even if there are thousands of features/variables in the input data set. With learning models, you can also measure effectiveness and improve it by only changing algorithms or algorithm parameters. Trained learning models, while powerful, have their limitations. What happens if there are no labeled examples for a given type of fraud? Given how quickly fraud is evolving, this is not that uncommon of an occurrence. After all, fraudsters change schemes and conduct new types of attacks around the clock. If we have not encountered the fraud attack pattern, and therefore do not have sufficient training data, the trained learning models may not have the appropriate support to return good and reliable results. As seen in the diagram below, collecting and labeling data is a crucial part of building a learning model and the time required to generate accurate training labels can be weeks to months. Labeling can involve teams of fraud analysts reviewing cases thoroughly, categorizing it with the right fraud tags, and undergoing a verification process before being used as training data. In the event a new type of fraud emerges, a learning model may not be able to detect it until weeks later after sufficient data has been acquired to properly train it. While both of these approaches are critical pieces of a fraud detection architecture, here at DataVisor we take it one step further. DataVisor employs unsupervised analytics, which do not rely on having prior knowledge of the fraud patterns. In other words no training data is needed. The core component of the algorithm is theunsupervised attack campaign detection which leverages correlation analysis and graph processing to discover the linkages between fraudulent user behaviors, create clusters and assign new examples into one or the other of the clusters. Our correlation analysis groups fraudsters “acting” similarly into the same cluster. In contrast, anomaly detection, another useful technique, finds the set of fraud objects that are considerably dissimilar from the remainder of the good users. It does this is by assuming anomalies do not belong to any group or they belong to small/sparse clusters. See graph below for anomaly detection illustrating fraudsters F1, F3, and group F2and good users G1 and G2. The benefits of unsupervised analytics is on display when comparing it to anomaly detection. While anomaly detection can find outlying fraudsters from a given data set, it would encounter a challenge identifying large fraud groups. With unsupervised analytics, DataVisor collaborates with rules engines and machine learning models. For customers, the analytics provides them a list of the fraudsters and also gives their fraud analysts insights to create new rules. When DataVisor finds fraud that has not been encountered by a customer previously, the data from the unsupervised campaign detection can serve as early warning signals and/or training data to their learning models, creating new and valuable dimensions to their model’s accuracy. Stay tuned for future blog posts where I will address topics such as new online fraud attacks, case review management tools, and a closer look into DataVisor’s fraud detection technology stack. If you want to learn more about how DataVisor can help you fight online fraud, please visit https://datavisor.com/ or schedule atrial.